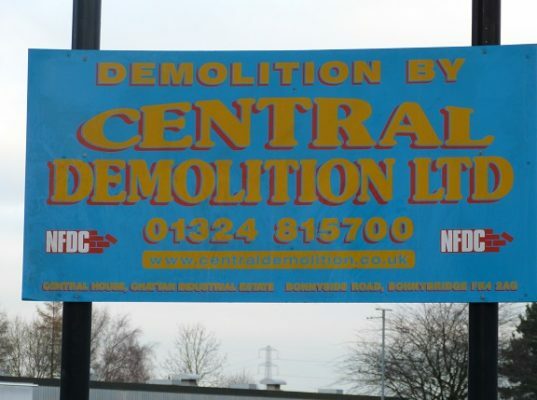 Central Demolition Limited were awarded the contract for the demolition of Blocks A & B of Church Walk in Denny Town Centre. 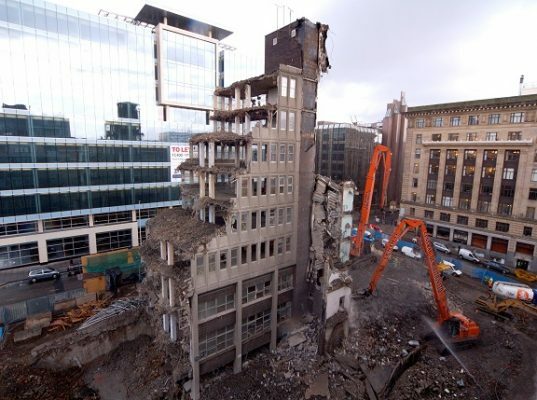 The structures to be demolished previously housed a mixture of residential and commercial properties. 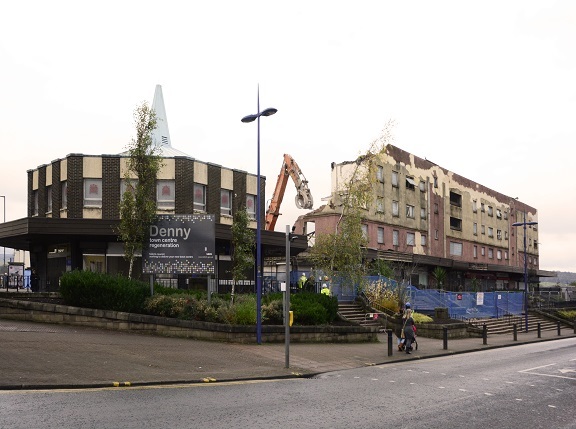 The buildings were earmarked for demolition by Falkirk Council, as part of plans to regenerate Denny Town Centre. Prior to us even commencing on site, there was a lot of planning and communication required as part of the wider project. 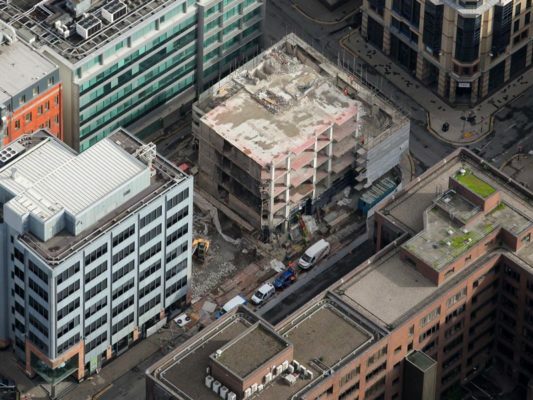 Local businesses were moved from their shops on the ground level of the 4 storey housing blocks into temporary accommodation so that the works could proceed. 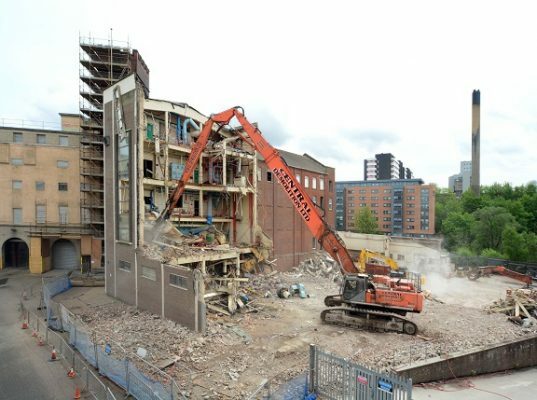 Before the demolition works, the project involved some soft stripping and asbestos removal in preparation for the structures coming down. 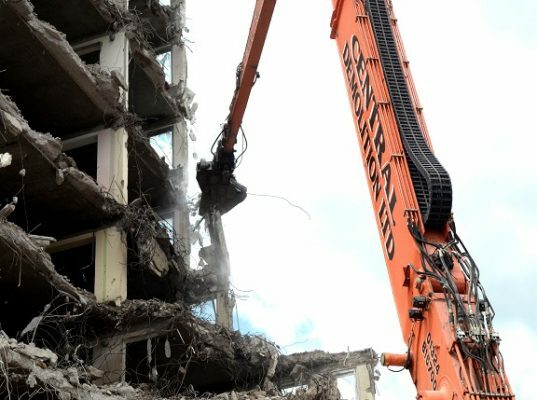 Once safe, each of the buildings was demolished by mechanical machine demolition. 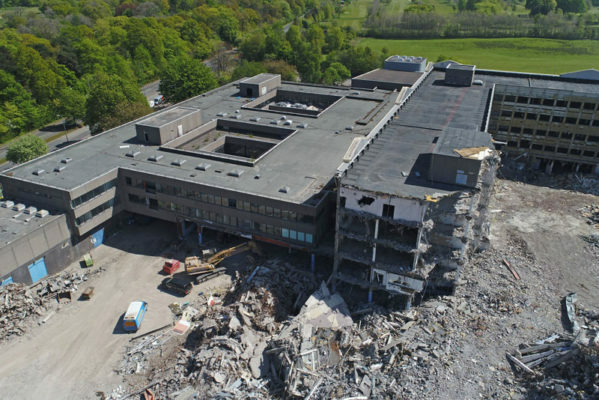 All soft strip materials and demolition arisings were sorted and then transferred to our nearby Bonnybridge recycling depot for further processing and recycling. This project presented several risks and challenges. 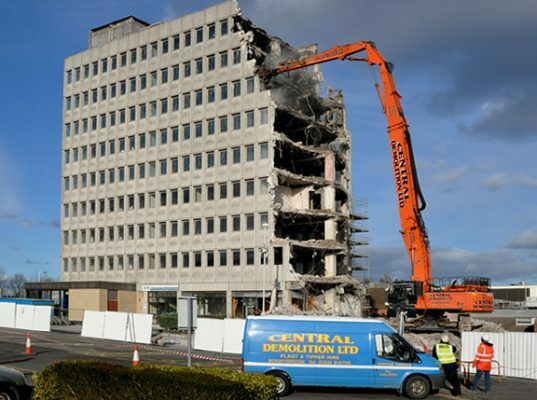 Live services ran in the adjoining road and we were working in a busy town centre environment, so we done a lot of planning and put comprehensive health and safety measures in place. 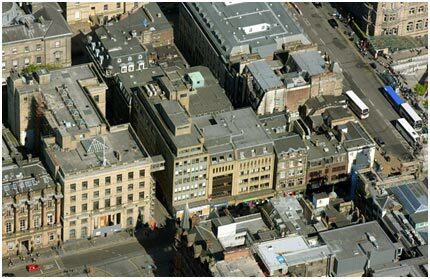 There was also a bank building neighbouring the site, and safe access to the entrance had to be maintained at all times. In addition, the project was under much scrutiny and gathered a lot of public attention, but our experienced team took this in their stride. The project was completely safely, on time and within budget. We achieved a recycling rate of approximately 97% which was a great outcome, and Falkirk Council were satisfied with our works.